Fresh off giving his latest single with Bruno Mars and Kodak Black a video, Gucci Mane has set a release date for his Evil Genius album. Taking to Twitter today, Gucci announced the effort will arrive December 7, marking nearly an entire calendar year since the arrival of his last full-length project, El Gato: The Human Glacier. On Instagram, Gucci also shared a rough tracklist, which points to Evil Genius running 17 tracks in length. Features listed include appearances from Quavo, Kevin Gates, 21 Savage, Lil Skies and NBA Youngboy, on top of the aforementioned Mars and Kodak. Production credits are given to Dun Deal, Murda Beatz, Southside, Metro Boomin and more. 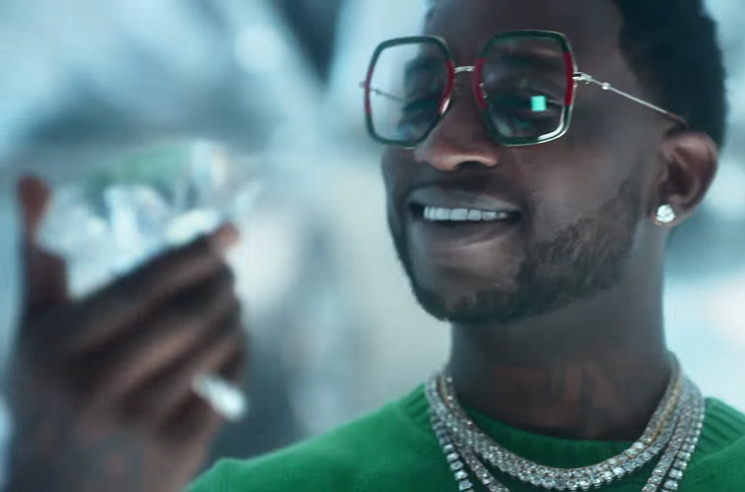 The tracklist also features Gucci's "Solitaire" single that arrived earlier this year, crediting Migos and Lil Yachty as "Glacier Boyz."